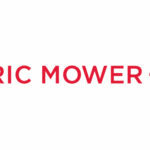 Eric Mower + Associates (EMA) is a digital marketing services agency, headquartered in New York, that builds powerful customer-brand relationships through an integrated approach we call Brand as Friend(R). EMA is an agency with best-in-class capabilities in B2B demand generation, advertising, brand development, strategy, account planning, digital and direct marketing, social/mobile media, public relations, promotion, media planning/buying, and analytics. Mission Statement: We turn Brands into Friends.